This is an incredible escape that pushes Dayle to the limits! This precarious demonstration of Dayle's ability has her confined in a regulation straitjacket and bound with heavy chain which is secured with mutiple locks and handcuffs. 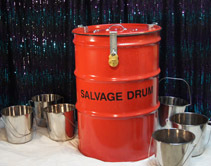 A 45 gallon drum is placed inside an 85 gallon drum. 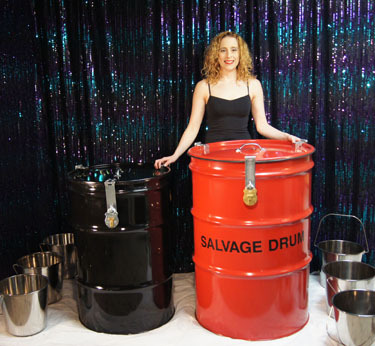 Both drums are filled with water and Dayle is then crammed into the inner drum. 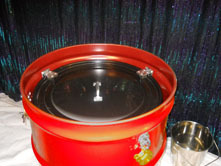 The lid to the inner drum is locked in place, then more water is added to the outer drum. The lid to the outer drum is locked in place and Dayle must escape!